Oe number 71739541 / 46421942. 1994 to 2001. 1.6,1.8, 2.0 16V twin spark. Originale 71739541 - 46809159 - 60809329 - 46421942 - 7736538 - 60811771. Per Fiat Brava - Bravo - Coupé - Marea - Palio - Tempra - Tipo - Uno. Per Lancia Dedra - Delta - Kappa - Lybra. Cilindro maestro frizione, pompa frizione. NOTE :FOR LEFT HAND DRIVE VEHICLES. You are obliged to take reasonable care of the item. Originale 00605473410000 - 116001205007 - 116001205012 - 11600120501200 - 116001205014 - 60547341 - 60747341 - 0000060518086. Cilindro frizione. Cilindro firizione. Ø alesaggio: 25,4 mm. Codice BIC SWIFT: UNICRITM1K42. FIAT CROMA (194_) 1.9 D Multijet. FIAT CROMA (194_) 1.9 D Multijet (194AXB1B). FIAT CROMA (194_) 1.9 D Multijet (194AXC1B, 194AXC12). PART NUMBER VALEO 804567. FIAT GRANDE PUNTO (199_) 1.9 D Multijet. Código interno para información: 884939. ¿Qué pieza necesitas?. Nosotros te la buscamos. Llámanos sin compromiso. Atendemos por whatsapp. Envíos a toda España. Nós podemos verificar isso. Wir können es überprüfen. Código interno: 414335. Wir können es überprüfen. Nous pouvons le vérifier. See photo's for more information. Referencia : 46547168, Observaciones: de plastico. Llama ahora y pide tu pieza. También atendemos por whatsapp. Enviamos a toda España. Consulta nuestra web, disponemos de un amplio catálogo de piezas. Referencia : 1424894, Observaciones: De hierro, 2 tuberias. ¿Qué pieza necesitas?. Nosotros te la buscamos. Llámanos sin compromiso. Atendemos por whatsapp. Envíos a toda España. No se realizan envíos internacionales en territorio insular. Referencia : 0071738464. Nós podemos verificar isso. Wir können es überprüfen. Nous pouvons le vérifier. A Quality UK made clutch slave cylinder repair kit. Originale: 46421942 - 60811771 - 71739541 - 7713039 - 7713304 - 7736538 - 7748795. Per Lancia Delta - Kappa - Lybra. Cilindro maestro frizione, pompa frizione. Per Fiat Coupè - Marea. Esperienza e professionalità al vostro servizio da oltre 50 anni. Car Parts - QH. Wiper Blades. Shake & Shine. The above policies do not affect your statutory rights. Bevis Green. Car Parts - Other. Product images are for illustrative purposes only. from Chassis No. : 602989, from construction year: Feb 2004. (ATE 040028. PRODOTTO NUOVO ED ORIGINALE ATE. I dati tecnici sono forniti dal produttore o tratti da banche dati specializzate. 3.0 V6 (162. B6C) Otto 2959 141 192 6 Saloon 199002 - 199202. B6A) CAT Otto 2959 136 185 6 Saloon 198701 - 199202. Referencia : 24091, Observaciones: De hierro. Llámanos y pide tu pieza. Te ayudamos a encontrar lo que necesitas. Atendemos por whatsapp. Enviamos piezas a toda España. No se realizan envíos internacionales en territorio insular. (C2A) Coupe Petrol 06/1995 09/1998 FWD 12 202 148. C1B__) Coupe Petrol 10/2000 10/2005 FWD 24 218 160. Function Slave Cylinder, clutch. As a corporation, TRW develop, design, manufacture and distribute almost everything that contributes to passenger safety in cars all over the world. Concentric Clutch Slave. Warranty: A 12 Month Warranty is standard on all products. AXA1A, 937. AXA1, 937. AXC1, 937. Construction year to: 2004/01, VET Number to: 602988, Transmission Type: Manual Transmission. from 10/2000 - 03/2002. Transmission Type: Manual Transmission. from 05/2000 - 06/2002. Código interno: 346574. Wir können es überprüfen. Nous pouvons le vérifier. ATE 040025. 60516271 SPIDER (105) 2000 AR 00512 01/1971 - 12/1977 1962 cc 131 96. SPIDER (115) 1600 AR 00536 03/1971 - 12/1979 1570 cc 109 80. PRODOTTO NUOVO NELLA SUA SCATOLA ORIGINALE ATE. GT 1300 Junior (105) AR 00530 01/1966 - 12/1977 1290 cc 87 64. V14112017 | © alf-ricambi. 1,4 16V 76 kw Bj. 1,6 16V 88 kw Bj. 1,8 16V 103/106 kw Bj. Alfa 145/146. Wichtig: Bei Fahrzeugen, die an den Baujahrsgrenzen zugelassen sind. passend für. Original 00605473410000 - 116001205007 - 116001205012 - 11600120501200 - 116001205014 - 60547341 - 60747341 - 0000060518086. CILINDRO AUXILIAR DEL EMBRAGUE. Embrague Cilindro Esclavo. Del cilindro maestro del embrague. (AXD1A, 937. BXD1A) Hatchback Diesel 04/2001 03/2010 FWD 8 115 85. AXG1B, 937. BXG1B) Hatchback Diesel 11/2002 03/2010 FWD 16 140 103. BXG1B) Hatchback Diesel 09/2003 09/2004 FWD 16 126 93. Function Slave Cylinder, clutch. V14112017 | © alf-ricambi. 1,4 8V 66 kw Bj. 1,6 8V 76 kw Bj. 1,7 16V 95 kw Bj. Alfa 145/146. Wichtig: Bei Fahrzeugen, die an den Baujahrsgrenzen zugelassen sind. passend für. This is a genuine FIAT made Clutch Slave Cylinder. This will fit any number of cars like Punto, Grande Punto, Doblo, Idea, Multipla, Mito, JTD and so on with engine sizes like 1.3D, 1.9D, 1.4, 1.6 etc. Alfa Romeo 156 147 GT Cilindro Esclavo Central LUK 510 0139 10 Free P&P! LuK 510013910. 1.6 16V T.SPARK. (932A4) Otto 1598 88 120 4 Estate 200005 - 200605. 1.6 16V T.SPARK (937AXB1A) Otto 1598 88 120 4 Hatchback 200101 - /. We understand that circumstances can change. If you would like us to hold the item we can. (Concentric slave cylinder must always be replaced. AXA1A, 937. AXB1A, 937. BXB1A) Hatchback Petrol 01/2001 03/2010 FWD 16 120 88. AXA1, 937. AXC1, 937. BXC1) Hatchback Petrol 01/2001 03/2010 FWD 16 150 110. I can do much more on the phone. (A4E) 01/92-12/96. A2E) 01/92-12/97. A2) 06/92-06/95. A2A) 02/92-02/95. A2G) 03/95-12/97. A1) 02/92-09/96. 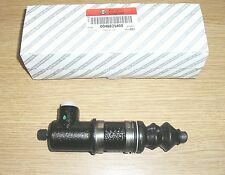 1 X NEW CLUTCH SLAVE CYLINDER NEW. C1B) 10/00-. (Concentric slave cylinder must always be replaced. AXA1A, 937. AXB1A, 937. BXB1A) Hatchback Petrol 01/2001 03/2010 FWD 16 120 88. BXA1A) Hatchback Petrol 01/2001 03/2010 FWD 16 105 77. AXA1, 937. AXC1, 937. (LPR, hydraulic program is sold in 76 countries, distributed from 6 countries. AXA1A, 937. AXB1A, 937. BXB1A) Hatchback Petrol 01/2001 03/2010 FWD 16 120 88. Function Central Slave Cylinder, clutch. 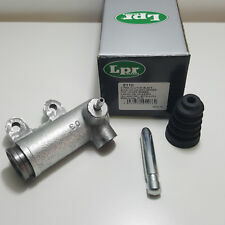 (AXL1 3.2 Clutch Slave Cylinder 03 to 10 932A.000 Manual LPR. AXL1) Hatchback Petrol 02/2003 03/2010 FWD 24 250 184. LPR, hydraulic program is sold in 76 countries, distributed from 6 countries. Function Slave Cylinder, clutch. 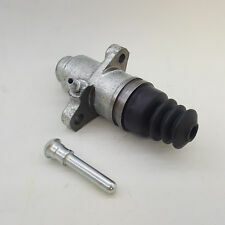 (FIAT 46421937, 46421942, 46531635, 60809329, 60811771, 60814217, 71738467, 71739541, 7736538. 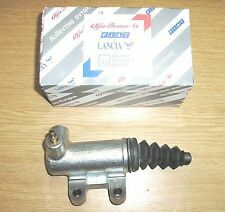 LANCIA 60809329, 60811771. C2__, 916C2C00) Coupe Petrol 06/1995 10/2005 FWD 16 150 110. A3A) Hatchback Petrol 12/1996 01/2001 FWD 16 103 76. TRW PJL143. 60516271 SPIDER (105) 2000 AR 00512 01/1971 - 12/1977 1962 cc 131 96. GIULIA 1300 Super (115) AR 00530 01/1974 - 12/1978 1290 cc 87 64. GIULIA GT 1300 Super AR 00530 01/1974 - 12/1978 1290 cc 87 64. Cilindro receptor del embrague. Marke Magneti Marelli. SKU: 35011. Información del producto. ((932A4) Estate Petrol 05/2000 05/2006 FWD 16 120 88. concentric slave cylinder must always be replaced. AXA1A, 937. AXB1A, 937. BXB1A) Hatchback Petrol 01/2001 03/2010 FWD 16 120 88. BXA1A) Hatchback Petrol 01/2001 03/2010 FWD 16 105 77. (AXD1A, 937. BXD1A) Hatchback Diesel 04/2001 03/2010 FWD 8 115 85. AXG1B, 937. BXG1B) Hatchback Diesel 09/2003 09/2004 FWD 16 126 93. BXG1B) Hatchback Diesel 11/2002 03/2010 FWD 16 140 103. AXV1A, 937. (Costs to send the item to you). We will work to resolve any issues and assist in anyway that we can. VEHICLE VIN NUMBER at hand as well as all the car details you can provide. You are obliged to take reasonable care of the item. (LPR, hydraulic program is sold in 76 countries, distributed from 6 countries. C2__, 916C2C00) Coupe Petrol 06/1995 10/2005 FWD 16 150 110. C2A) Coupe Petrol 06/1995 09/1998 FWD 12 202 148. C1) Coupe Petrol 10/1996 10/2000 FWD 24 220 162. (A3100 1.8 Clutch Concentric Slave Cylinder CSC 00 to 05 QH. A3100) Saloon Petrol 10/2000 09/2005 FWD 16 140 103. concentric slave cylinder must always be replaced. A4100) Saloon Petrol 09/1997 09/2005 FWD 16 120 88. (3) LEFT FRONT STABILISER LINK BAR. 4) RIGHT FRONT STABILISER LINK BAR. 1) LEFT LOWER WISHBONE ARM. 2) RIGHT LOWER WISHBONE ARM. 6)RIGHT UPPER SUSPENSION ARMS. 5)LEFT UPPER SUSPENSION ARMS. You are obliged to take reasonable care of the item. EXHAUST INTAKE / INLET MANIFOLD. You are obliged to take reasonable care of the item.